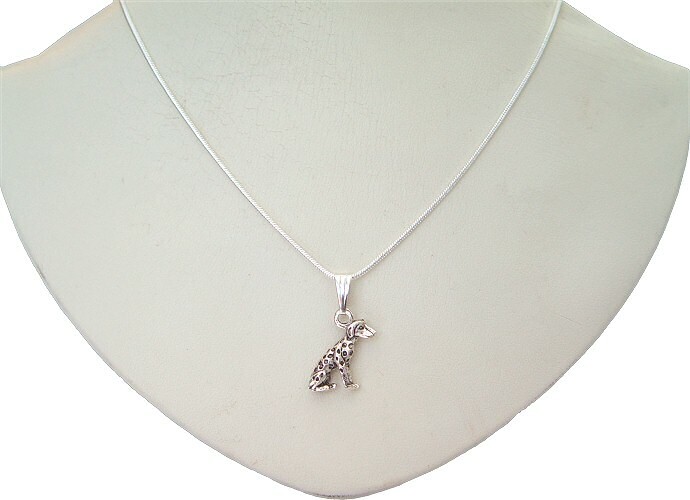 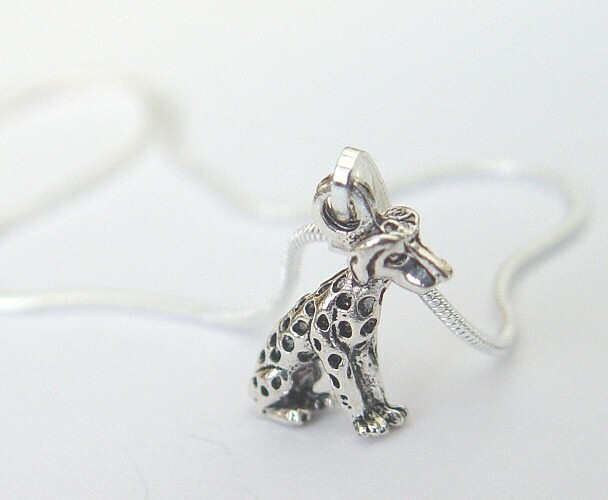 Featuring a silver plated Dalmatian Pendant on an 18" (46cm) silver plated snake chain. 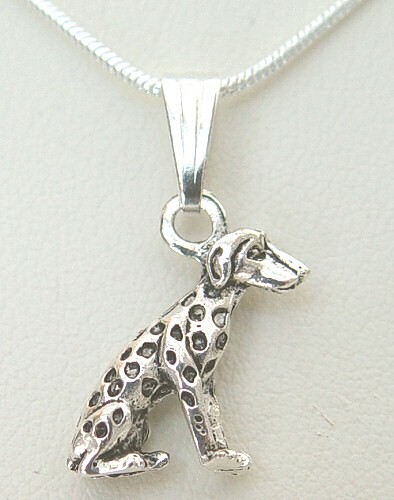 The Dalmatian Pendant is 3D (not flat backed) and the whole drop is 3cm. 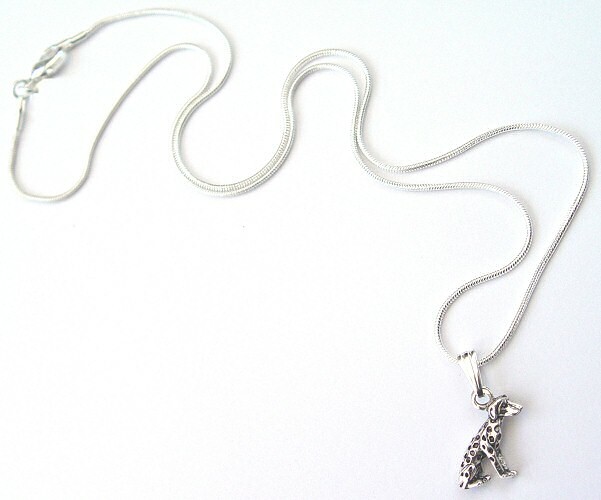 The 1.5mm snake chain is brightly polished, really catches the light and fastens with a secure lobster clasp.